Subscription + Saturation Fine Grade Carbon 60, 99.99% in Iliada Olive Oil Extra Virgin Organic, 120ml - SES Research Inc. HIGHEST QUALITY & PURITY: We guarantee our C60 in Olive Oil to be the highest quality and highest purity. Our Fine Grade C60 Olive Oil starts with our purest form of SES Research Carbon 60 (99.99%). It’s then continuously stirred for 2 weeks at room temperature in high-quality, organic Olive Oil directly sourced from the Kalamate region of Greece. 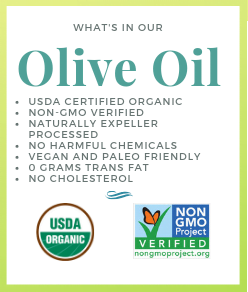 BEST OLIVE OIL: Our olive oil is directly sourced from organic Koroneiki Olives grown in the Kalamate region in Greece (Certified USDA Organic, Kosher, Kalamata PDO). This awarding-winning Iliada Organic Extra Virgin Olive Oil is produced by Agro.vim S.A. Iliada, in Greece, and can be found in many of the fine, high-end restaurants around the world, known for its extraordinary taste. INCREASES LONGEVITY: C60 may protect cellular and mitochondrial membranes. A recent research study found that test subjects that took C60 in olive oil increased their lifespan by 90%! REDUCES PAIN & INFLAMMATION: C60 may act as a free radical scavenger, fighting off aging and illness. It alkalizes the body, and users have reported that it helps reduce pain and inflammation with conditions like arthritis. HELPS YOU LOSE WEIGHT: Many users have reported a major boost in workout energy and weight loss thanks to C60. PROMOTES HEALTHY SLEEP: Much like melatonin, our C60 supplement is said to promote healthier sleep among users. It’s recommended that our C60 olive oil be kept in a cool, dark place to keep it fresh and make it last as long as possible. These products have not been evaluated by the Food and Drug Administration. These statements have not been evaluated by the Food and Drug Administration. This product is not intended to diagnose, treat, cure or prevent any disease. **Always refer to the manufacturer’s label on the product for description, recommended dose and precautions.